People change with situations, and you will be surprised to know that even your closest ones also change with changing situations. Life is always full of ups and downs and when you are low, that’s when you need the support most, and its only then these people show their true colors. But its not so when it comes to your four legged companion. Irrespective of the situations, your financial status, it remains unconditionally loyal and caring. And it’s a common mistake we all make, we reprimand when mistakes are made but forget to reward when good is done. Perhaps we need to change that, and why should your four-legged companion be left out of being rewarded? Perhaps its time to reward them and make their lives a bit more comfortable. Don’t you agree? 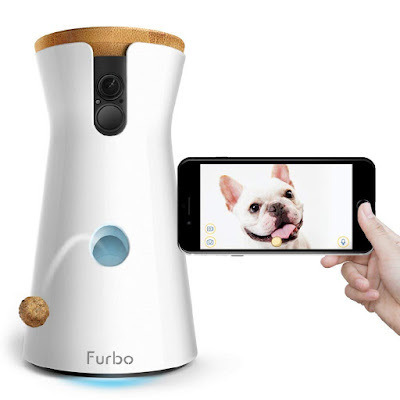 Furbo Dog Camera: The Furbo Dog Camera keeps you connected to your dog anywhere and everywhere. 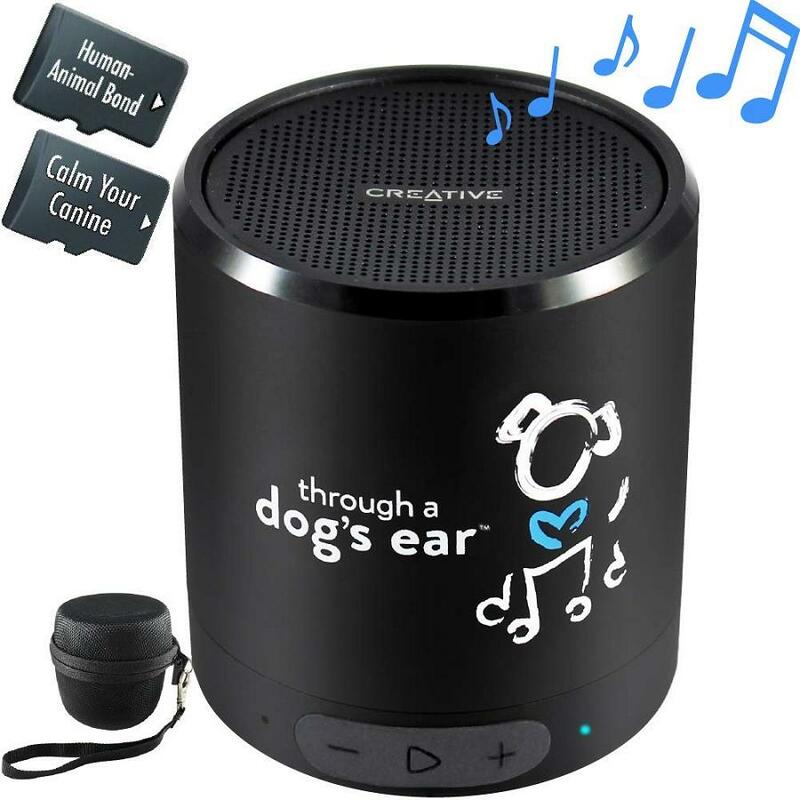 It features full HD camera and night vision that provides livestream video, adjustable barking alert and 2-way audio, and fun treat tossing. It also sends push notifications to your smartphone when it detects barking. Its app works with iOS/Android. If you are a caring dog parent then you can definitely consider this one. 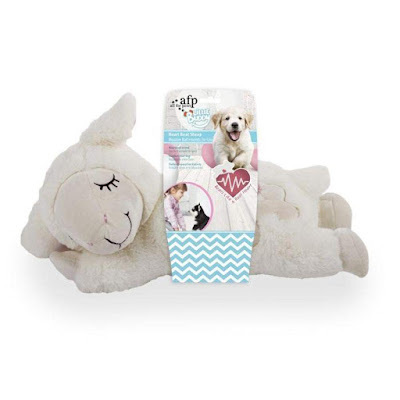 Dog Toy: When you get a puppy home, it has to leave its mother and familiar surroundings and adjust in its new home and this can be tiring for them. The AFP Little Buddy – Heartbeat Sheep is here to make things a bit more comfortable for the little one. It’s a soft cuddly toy with a heartbeat that lasts for 20 minutes. You can activate the sound and the heartbeat can then be heard and felt. This relaxes the puppy and makes him used to his new home when he moves. 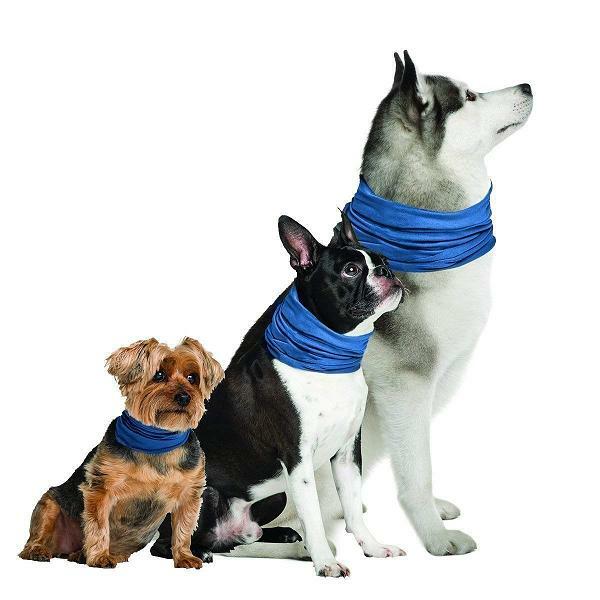 Dog Cooling Collar: As a responsible dog parent you must be aware that dogs can’t sweat, and as it gets hotter they need to work harder to keep themselves cool. They pant to regulate their body temperature. And this issue further intensifies during summer months; and here is your chance to make things a bit easy for them. All you need to do is simply moisten the collar with cold water and it keeps your dog cool for hours, it reduces heat stress and fights fatigue. 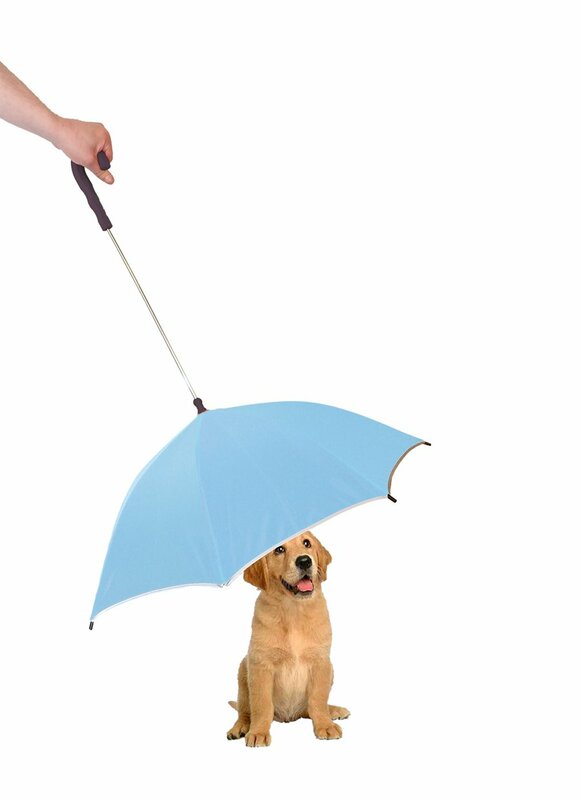 It features a built-in leash hole so your dog can stay cool on the go. 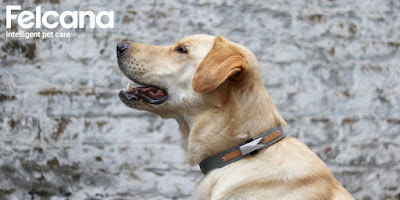 Felcana: Felcana is a smart dog health monitor that works with its micro-location beacons around the home to monitor all aspects of their health, behavior and surroundings. Using the beacons, the Felcana system measures activity, drinking, eating, sleeping, ambient temperature and home location. Felcana is building the future of intelligent petcare that lets you track, monitor and understand your dog’s health. 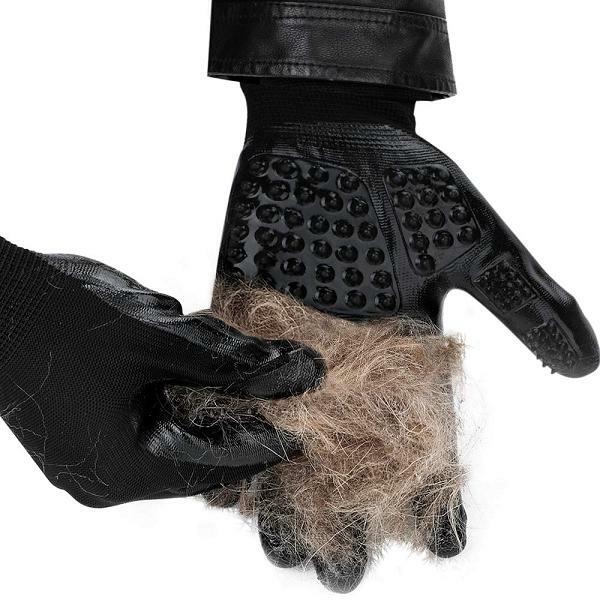 Grooming Glove: Dogs enjoy grooming, least most of them. And when you have long fur dogs then you need to keep removing fur from all over your home to keep it tidy. With this glove things are sure to be a lot easy. 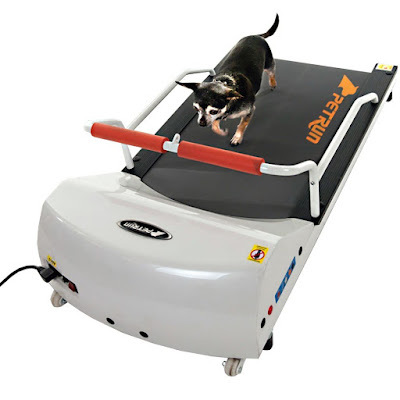 It gives massage to your dog, while it removes the loose and tangled hair from their coat. It features 154 grooming tips and 52 round tips to give a relaxing massage. Go Pet Petrun Pr700 Dog Treadmill: If your dog is of indoor type and doesn’t like socializing; then this Go Pet Petrun Pr700 Dog Treadmill is a must for them. After all it’s your responsibility to keep them healthy and active; a dog without any physical activity or exercise is sure looking for trouble. Portable Dog Paw Cleaner: When you treat your dogs as kids then they are sure to sleep on your bed. You don’t want them to be dirty, do you? Then how about when you let them outside for playing; then they are sure to bring in dirt back. 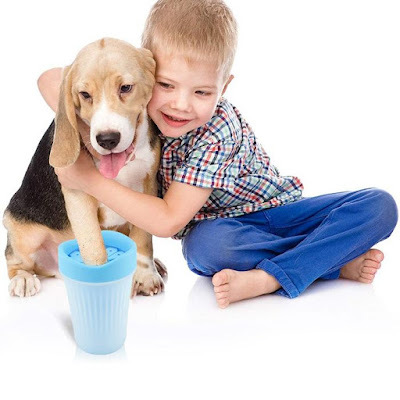 The solution is simple, the Portable Dog Paw Cleaner; all you need to do is stick your dog’s paw one at a time into the washer, swish the water around or spin the container to engage the bristles, and then remove their paw. Dry the paw and move on to the next one. Marble – Adjustable Dog Harness: It’s better to have a dog collar if your dog has long hair. When it comes to harness, the fur may get caught in it. Apart from this it may not be comfortable for all day use. But some dogs pull hard and try to lead you instead, and at those times collar can cause problem to their neck and harness turns out to be a better option. 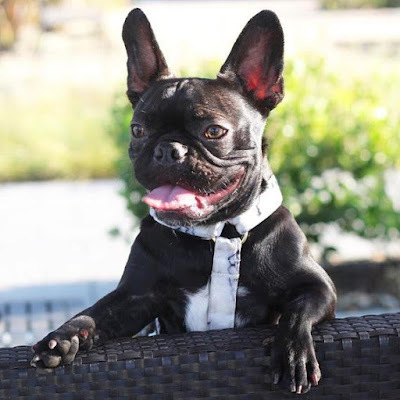 And if you have a dog that wants to lead you instead of you taking him for walk, then you got to go for a harness, then opt for this stylish Marble – Adjustable Dog Harness. iCalmDog 5.0c Portable Speaker: Does your dog show any signs of anxiety when it comes to loud noises, grooming time, or car rides? The iCalmDog speaker is designed for dealing with such situations; it plays bioacoustically re-arranged music to relieve their anxiety for 5 plus hours. Its speakers can be connected to Bluetooth devices, last for up to 24 hours, and features auto repeats for continuous play. 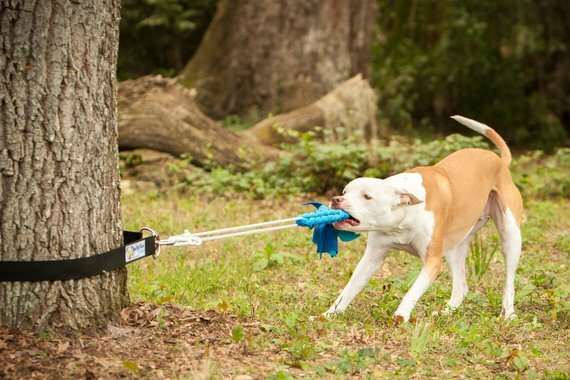 Super Tug – Strong Dog Toy: Super Tug is a safer alternative to the spring pole as it uses a horizontal configuration instead of the vertical one, is made from marine grade bungee cord instead of a metal spring. Just the thing your high-energy dogs need to play with. Dog Cooling Mat: Did it ever happen with you on a summer day that your dogs go and sit in the water fountain? They do it to cool themselves; but now you have a much better option to give them to avoid overheating and dehydration during summer weather. 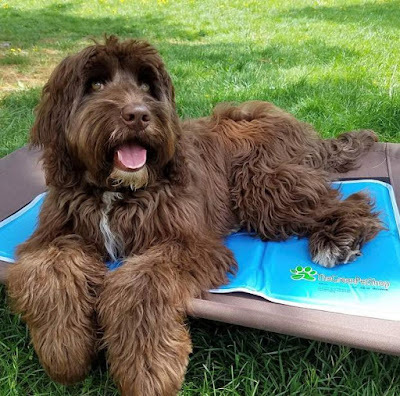 The Dog Cooling Mat, its a patented pressure activated gel cushion that cools and soothes your dogs on contact for up to 3 hours, providing a cool spot for your dog. It features special gel that automatically recharges after 15-20 minutes of non-use. It requires no water, electricity or refrigeration. 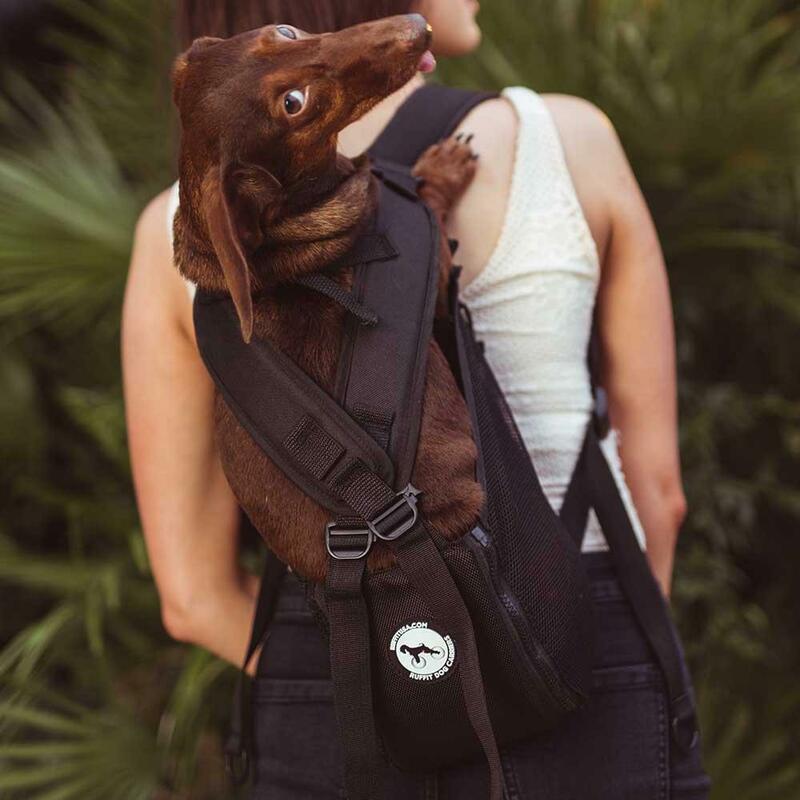 Dog Carrier Backpack: The Dog Carrier Backpack gives you a safe and comfortable carrier that enables you to take your dog wherever you go. App-Controlled Microchip Petdoor: The App-Controlled Microchip Petdoor lets you remotely lock or unlock the door anytime, anywhere using its app. You can know whether your dogs are at home, monitor their long-term activity and notice changes in their behavior. 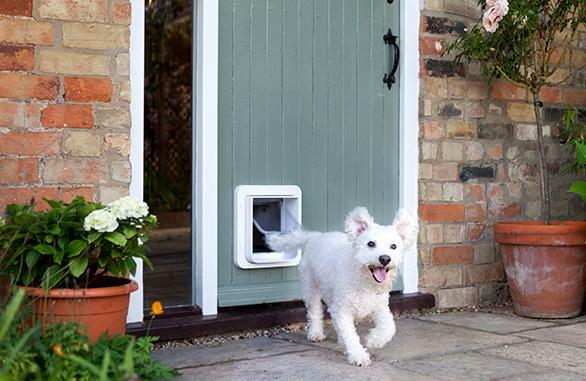 You also receive notifications when your dogs enter and leave your home and apart from these you can even prevent intruder animals entering your home. What more, you can even preset the door to lock and unlock at specified times or take control at anytime using its app. 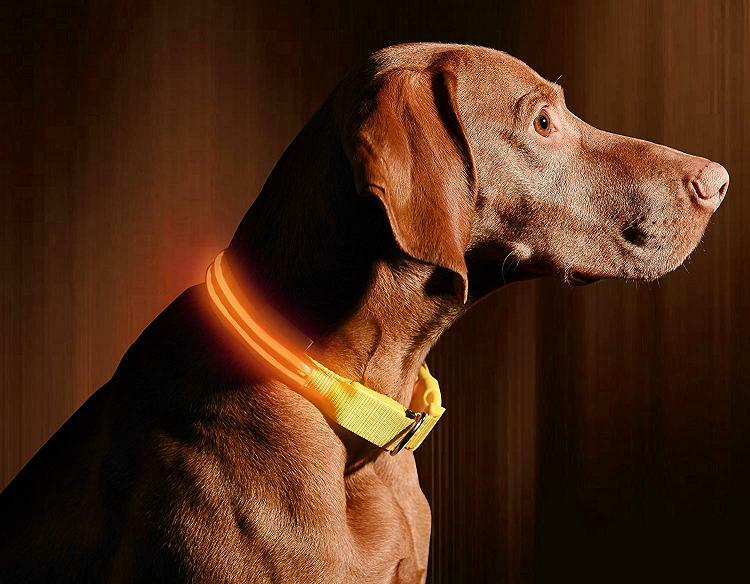 Illumiseen Light Dog Collar: Its just the thing you need to let the vehicle drivers know where your dog is in darkness. You can change the lighting mode, its USB rechargeable, and it lasts for 5 hours on a recharge of one hour. Dog Umbrella: The dog umbrella features a reflective lining on the border edges for safety while dog walking during those dark rainynights. It also attaches to leashes and harnesses.